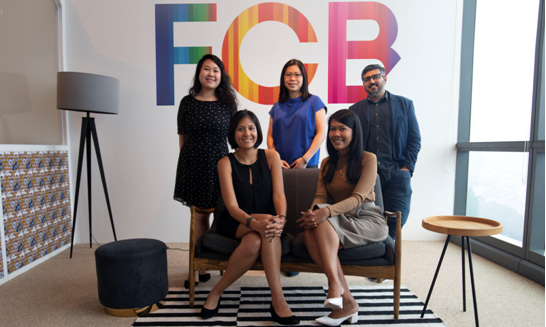 FCB Group Malaysia has appointed Natasha Aziz to general manager of the FCB Group Malaysia from her previous designation as head of account management. Aziz will take on greater company and P&L responsibilities in addition to her on-going role as the group’s senior most suit. Formerly a senior account director, Syahriza Badron moves up into the new head of business development role. Whilst remaining as the lead on a number of the agency’s key clients,Badron will be tasked with catalysing growth opportunities for both agency brands: FCB and Ignite. Jamie Tan has been promoted to head of operations. Tan was previously the group’s operations director and her new role will encompass administrative, talent management and the financial operations of the agency. Also taking on larger roles within the agency are Mandy Chock who has been raised up to creative group head and Karan Chhabra, as a newly minted associate account director. “FCB is a challenger agency. Every headcount in our organisation is important to us as we’re deliberately lean by design. We move fast and work harder. Whilst not everyone is able to keep pace with our ambition, it does makes it easy to spot the truly talented and the truly dedicated. Aziz, Badron and Tan are the backbone of our agency. When Shi-Ping and I bought over the FCB Group last year, they believed in our vision and poured their heart and soul into the business. It’s time we repaid that faith by ensuring their place as the future leaders of our agency working alongside fast rising talents such as Chock and Chhabra,” said Shaun Tay, co-owner & chief executive officer of the FCB Group Malaysia. The company has been running the #ImpactThatMatters social media campaign during the World Economic Forum in Davos. Here are some..
To promote the up-coming "Google Play Game Week" in coordinate with Hong Kong Comics Festival 2015, Google Play has teamed up with..